We are proud to partner with some of the world’s finest organizations in our pursuit of excellence in women’s leadership development. Fundação Dom Cabral (FDC) – Ranked Latin America’s best business school 12 years in a row, Fundação Dom Cabral is a Brazilian business school with a world-class reputation for excellence. FDC builds the analytical decision-making and leadership skills of executives, entrepreneurs, and public managers. Hong Kong University of Science and Technology (HKUST) – A dynamic international research university in relentless pursuit of excellence, HKUST is leading the advance of science, technology, business, and humanities, and educating the new generation of front-runners for the world. Since its official opening in October 1991, HKUST has established itself as an intellectual powerhouse, energizing the community’s transformation into a knowledge-based society, and securing a place on the academic world map in record-breaking time. 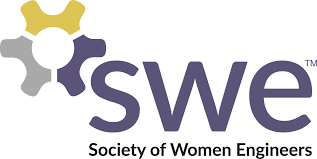 The Society of Women Engineers (SWE) – SWE is a not-for-profit educational and service organization that empowers women to succeed and advance in the field of engineering, and to be recognized for their life-changing contributions as engineers and leaders. Catalyst – Founded in 1962, Catalyst is the leading research organization expanding opportunities for women and business. Their global lens and regional reach allows them to provide members, the media, and the public with information and counsel on creating workplaces that enable women and their employers to succeed. 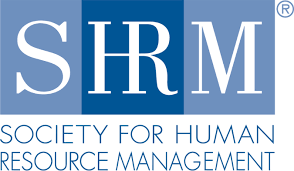 Society for Human Resource Management (SHRM) – The Society for Human Resource Management (SHRM) is the world’s largest HR professional society, representing 285,000 members in more than 165 countries. For nearly seven decades, the Society has been the leading provider of resources serving the needs of HR professionals and advancing the practice of human resource management. UNICON – The International Consortium for Executive Education – Founded in 1972 as an association of executive education program directors, UNICON has evolved into a global organization committed to advance the field of university-sponsored executive education.